This past week, the New Zealand Government and executives from Amazon TV held a meeting in an effort to address concerns about a lack of studio capacity in Auckland. 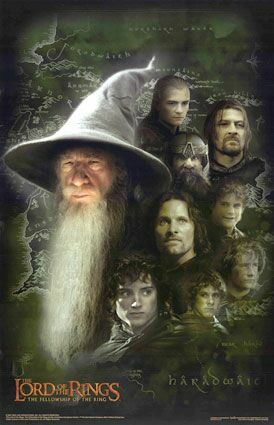 This planned 5 season LOTR series is a big production that will require quite a lot of studio space for filming, post production facilities and local crews, so of course they want to make sure the resources exist that they need. 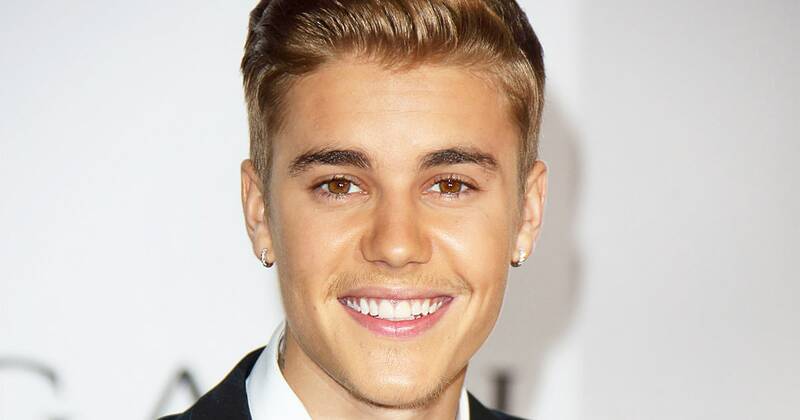 It appears that a decision or deal may be made within the next month, so we don’t have long to wait. You can see the source of this story at Stuff.Co.NZ. You may be wondering why Auckland and not Wellington, but that is easily explained by the fact that the Avatar trilogy of films currently in pre-production will soon be moving into full production. While the Amazon LOTR production will be big, Avatar is going to be much bigger, and there may or may not be enough room for both as far as studio and post-production facilities go. 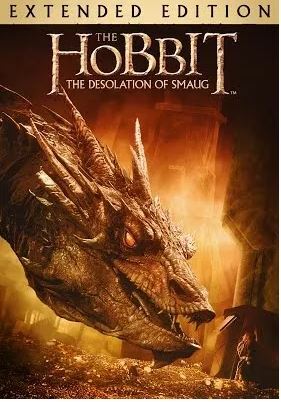 This leads to a much bigger debate on whether or not this new series should look and feel much like the existing Middle-earth films or whether it should blaze its own path for design and locations. The appeal to any production of not having to look for too many new locations can’t be understated. 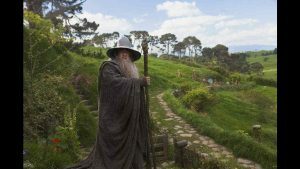 Film and TV productions are always having to research and locate interesting places that fit what the production needs, so the fact that so many locations in New Zealand have already been established as feeling like Middle-earth is a boon. But then, there are hundreds of beautiful places around the world, and with chunks of filming now happening in studios, does it really matter where those studios are? Is it possible that Amazon can do location filming in New Zealand and Studio work in London, Hollywood or Vancouver? Or why not film in British Columbia, or Northern Ireland or Slovenia for that matter? 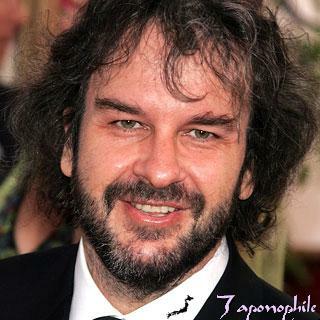 “As we all know, Peter Jackson’s lauded adaptation of The Lord of the Rings trilogy went on to win many Oscars, yet his efforts with The Hobbit were met with a comparatively mixed response. As it turns out, many of Max’s 15 favorite scenes are among my own, including Gandalf’s first encounter with Bilbo at Bag End, to Bilbo naming his sword Sting, and the amazing depiction of Smaug. How about you? What are your favorite moments from The Hobbit movies? Do you agree with Max’s list? Let us know! challenges (which should mostly be done by next week). You will also have the chance to bid in a fabulous auction, with none other than Jed Brophy as the star auctioneer! 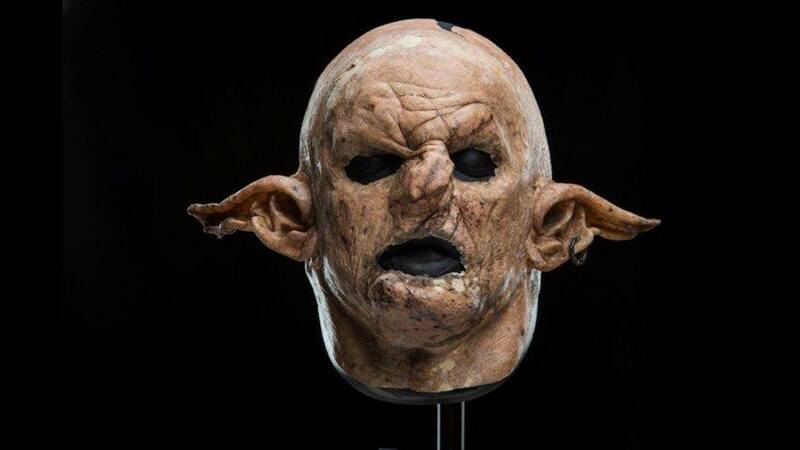 Today, Royd announced that one of the amazing items up for grabs is a genuine Weta Workshop full Orc Head prosthetic, made for one of Royd’s challenges (see left). What an amazing addition that would make to any Middle-earth collection! Other auction items include a Gandalf statue signed by Peter Jackson himself, and pieces signed by Richard Taylor. And the good news is – even if you aren’t in New Zealand, you can still participate in the auction! If you check out the Facebook event page [here] you’ll find an email address for Jodie, the event coordinator. To place an absentee bid on any of the auction items, we’re told you can simply send Jodie an email, and she’ll send you the Absentee Bidding Form, which lists all the auction items, reserve prices, and any the information you may need. If you’re an avid Tolkien collector, an art fan, a wine connoisseur, a foodie, or even a keen sailor, you’ll find something to please on the incredible list of auction items. Check out the event page, contact Jodie, and grab yourself an extraordinary treasure! The event is a fundraiser for MND New Zealand. Details on how to buy tickets to attend are on the event page. If you’d like to know more about MND New Zealand, or support them, click here. Be sure to let us know if you attend the event – we’d love to hear all about it! 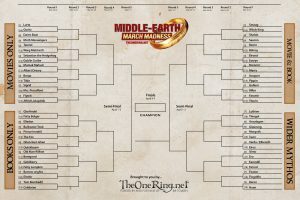 Middle-earth March Madness – Round 1 Bracket – Vote Now! There are some very interesting match-ups in round one this year. 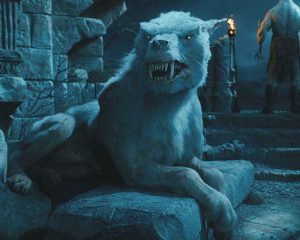 In one of the more intense match-ups in the Movies Only division, Tauriel is up against the Warg Matriarch, Azog’s vicious white warg. A perennial TORn fav, FIGWIT (stay-tuned for the story behind the name if you don’t know it already) takes on Alfrid, and it’s anybody’s guess as to who will come out on top in the match-up between Sebastian the Hedgehog and the Goblin Scribe. The Books Only division is chock-full of interesting matches such as Ghan-buri-Ghan vs. Quickbeam, and The Fox (who wondered at Hobbits traveling through The Shire in FOTR) vs. Prince Imrahil. 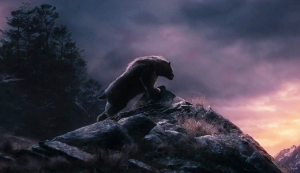 It was almost impossible to narrow down the Movies & Books division with so many amazing choices, but there are some gut-wrenchers in the contests as they stand with Beorn going up against the Balrog and Shelob battling Sauron. Finally, some of Tolkien’s Titans go mano-a-mano in the Wider Mythos division, with two powerful dragons, Ancalagon and Glaurung battling it out, and Beren and Huan facing each other in what is sure to be a close call. A note on how the bracket combatants were determined. TheOneRing.net created a document containing all combatants, sub-divided into divisions. We asked staff to cast sixteen votes per division, with the votes having a weight of 1-4. Each staffer cast four 4 votes, four 3 votes, four 2 votes and four 1 votes in each division. We then totaled all the votes from each division to determine their rank, and ultimately placed the top 16 into each bracket for seeding. As you can imagine, our staff is diverse and the results were very interesting! Not only are there some great match-ups in this first round, the final four will pose some amazing choices between the various literary and film sources. March Madness 2017 edition – coming soon! Spring is in the air, and it’s finally that time of year when fans get to vote on their favorite Tolkien characters. 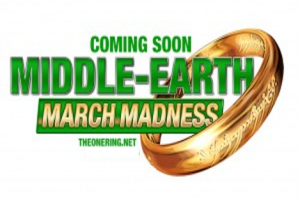 Yes, Middle-earth March Madness is back for 2017! If you are new to TheOneRing.net, Middle-earth March Madness is our adaptation on the popular NCAA Basketball tournament that takes place every March/April in the United States. 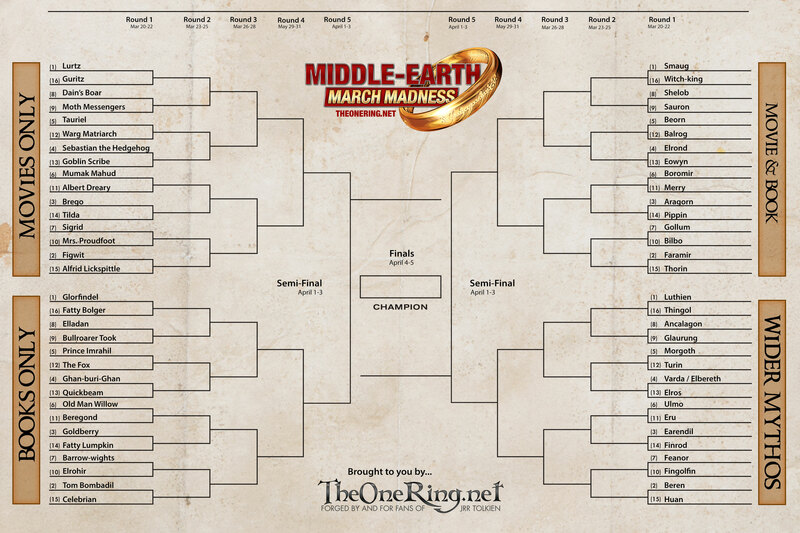 It’s our chance to have some fun matching up middle-earth power players against each other. 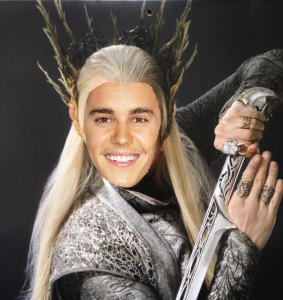 Past winners include Samwise Gamgee, Gandalf, who won in both 2013 and 2015, Thranduil, and last year’s winner Galadriel, who defeated the mighty Morgoth in the final round. 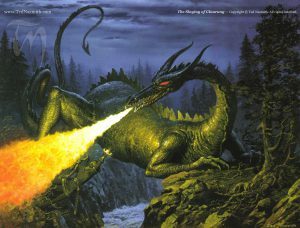 Wider Mythos – Middle-earth characters not in the movies from Tolkien’s works outside of The Lord of the Rings and The Hobbit. It really was the best of times. Not just the opening night of The Lord of the Rings: The Fellowship of the Ring (or whenever you saw the film for the first time). 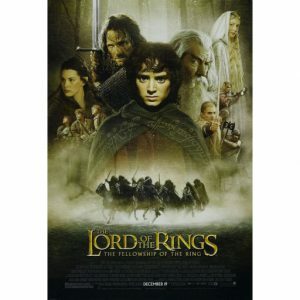 What about when you first found out that Lord of the Rings films were being made? Maybe, like staffer Garfeimao, it prompted you to start searching the internet and you found TORn. Perhaps, like staffer Magpie, you had been longing for something different and/or better than the animated movies (no matter how sentimental and quaint they seem now). Perhaps you were a lifelong fan of J.R.R. 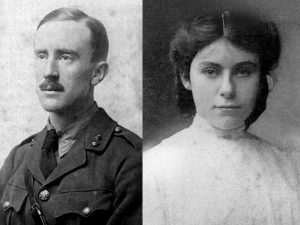 Tolkien, and had misgivings like deej and JPB. For me, it was all of the above! 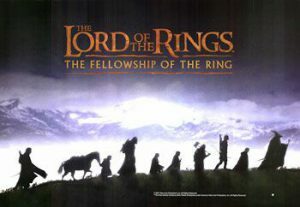 Please enjoy reading the memories and impressions of some of our core staff, and share your own memories of how you learned of the LOTR movie, how you found TheOneRing.net and/or what your first impressions of FOTR were, either in the comments section, or on our Lord of the Rings Movie discussion forum. 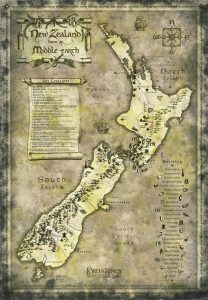 ‘To celebrate New Zealand being the real Middle-earth for 15 years (since the first Lord of the Rings film) we have come up with a new way to take you on an adventure. Imagine if you travelled the real Middle-earth like a Hobbit – what journey would you take? What if you were an Elf? A Dwarf? A Wizard? ‘Middle-earth travel’ aligns the characters to the NZ experiences they would do, on their New Zealand holiday. You can take the quiz on Tourism New Zealand’s Facebook page, 100% Pure New Zealand; or you can find it on their website, here. They also shared with us two fun articles: 15 Middle-earth stars profess their love for New Zealand and How to travel like a hobbit in New Zealand. 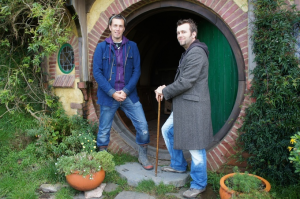 Many airline companies have sales on around this time of year, so if you’re inspired, maybe 2017 will be the year you make your own Unexpected Journey to Middle-earth? Or at least we can all enjoy pictures from 100% Pure New Zealand, whilst we dream of such a voyage…! In addition to the many fans that posted their reviews on TORn (see yesterday’s article: 15,084 Reviews and Counting), many of our core staff chimed in with reviews soon after FOTR opened. In this article, we bring you reviews by such well-known names as Xoanon, Tehanu, Quickbeam and Ostadan. All of them capture the magic and excitement that we all experienced 15 years ago. 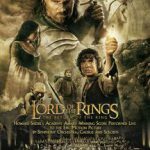 On December 18, 2001, TheOneRing.net introduced a new feature on our site: Ringer Reviews – “A database of reviews from Tolkien fans all over the world, whether you loved, liked or hated the film this is where you can express your feelings in words and celebrate with your fellow fans the release of the first installment in the Lord of the Rings Trilogy.” Twenty-four hours later, fans had posted 3,000 reviews. 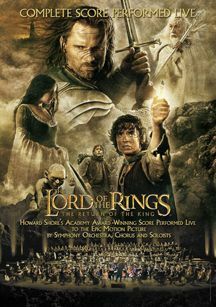 By Christmas the count was up to 6,700 and on January 19, 2002, a month after FOTR opened, over 10,000 reviews had been submitted. Today the count stands at 15,084 reviews. Unfortunately, the individual reviews reside on our old site and have been archived. But, we thought it might be fun to revisit some of the overall results, more of which can be found at the Ringer Reviews link above.